The GPSbee is a GPS package created and sold by seeedstudio. 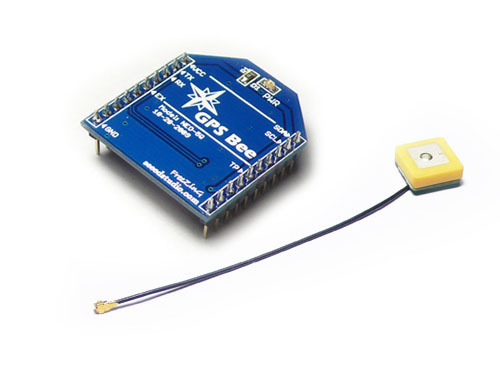 It contains a NEO-5Q Ublox 5 GPS module and is built onto a Xbee style PCB, the module also comes with a miniature GPS patch antenna. The GPS chip used in this package is similar to the one on the fsa03 and will respond to the same commands. The advantage of this module in comparison to the fsa03 is that it is a little more structurally stable and has a standard pinout.